Continuous improvement is a way of life for any business and is accepted as a standard approach in improving quality, productivity and processes. At the core of continuous improvement are defining the root cause, planning and executing preventative action to eliminate the potential issue, and deploying technology and practices that minimize the impact of any issue or hazard. 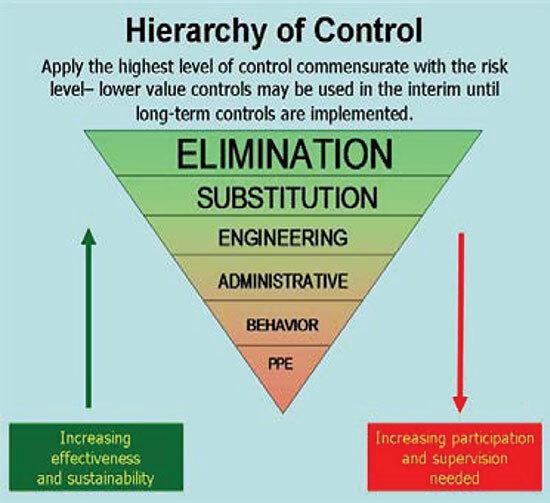 This approach to continuous improvement can be extended to electrical safety and is sorely needed. Ask any executive, operations manager or Health and Safety professional and the very first priority in dealing with a potentially negative issue is to prevent the issue from occurring, and the second priority is to minimize the impact should the negative event occur. What in your opinion is the leading cause of arc flash incidences? What is the best means to minimize the Arc Flash Hazard? The results are a cause for concern at several levels; only 50% of respondents correctly identified that the majority of arc flash incidents start as ground faults, and yet 268 of these chose labels or PPE as the best means to minimize the arc flash hazard. 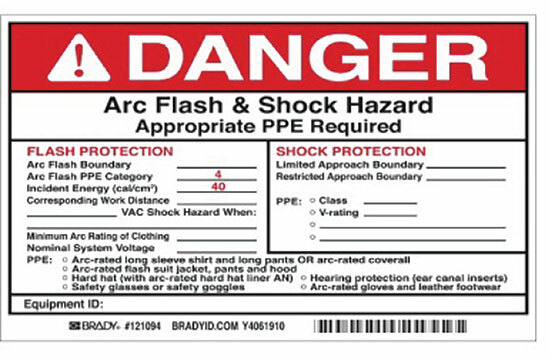 Posting warnings, conducting awareness training, purchasing and issuing PPE does not in any way reduce the likelihood of an arc flash event, nor does it reduce the magnitude of the arc flash. For those professing that PPE does reduce the severity of exposure, let’s pause and consider what it means to wear ARC rated clothing – there is a 50% probability of receiving second-degree burns over 50% of your body; surely, we cannot accept this is safe. This is why engaged leadership is not enough; there is a need for technical awareness also to achieve an effective electrical safety program and a safe electrical workplace. When designing an electrical grounding system for an industrial operation for voltages of 1000 volts and below, there are three basic choices – ungrounded, solidly grounded, or resistance grounded – a technical decision. Absent ground faults, any of the three options are reliable and safe; but ground faults are a reality in any electrical system, and so the question becomes does the grounding system choice affect the likelihood of experiencing an arc flash incident? The first and obvious step is to de-energize the electric circuit before conducting any work whenever practical. If this is not practical or safe, then consider options that reduce the likelihood of an arc flash event occurring. 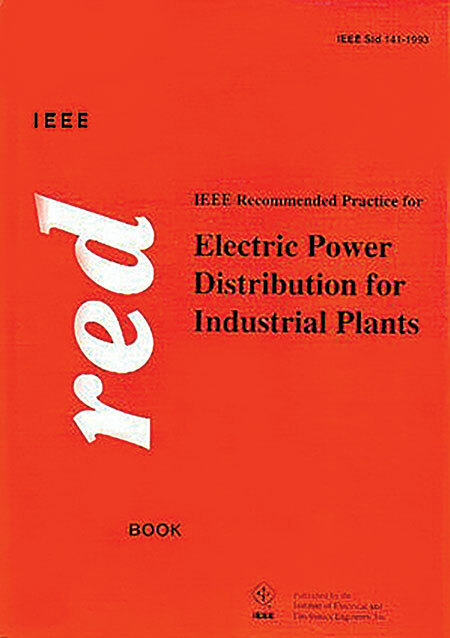 This is consistent with statements in the Industrial Power System Grounding Design Handbook which states that 95% of all electrical faults are phase to ground faults and IEEE141-1993 Recommended Practice for Electric Power Distribution for Industrial Plants 7.2.2 which states, “there is no arc flash hazard (on HRG systems) as there is with solidly grounded systems, since the current is limited to approximately 5 amps”. 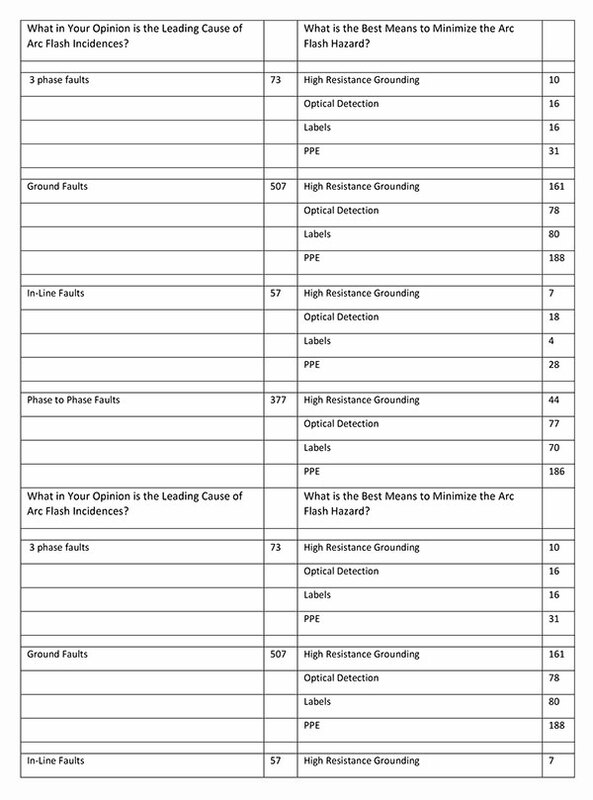 If we already understand that the vast majority of arcing faults start as single-phase to-ground faults, whether the specifics are 95% or the great majority, and that by employing High Resistance Grounding, a technology that has been around for 50 years and used in all manner of industries from petro-chemical to food processing to automotive to paper manufacturing to data centers, etc., we can reduce the exposure to the hazard significantly. Then the question needs to be asked: why is this not the standard practice for grounding industrial facilities? 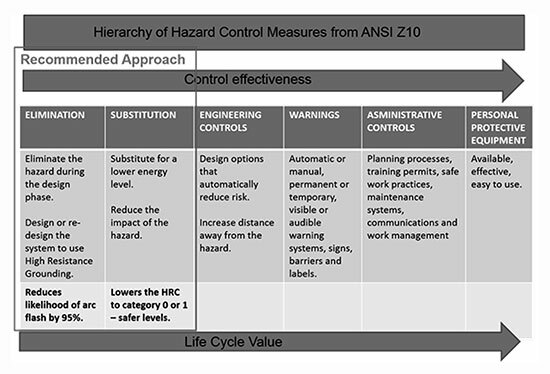 HRG, as a technology, is recommended by IEEE; it is recognized by NFPA 70E; it is promoted by FM Global; and yet, it is still not the default option when making the grounding decision for industrial facilities. One reasoning may simply be lack of technical awareness. Of course, High Resistance Grounding does not protect against phase-to-phase faults nor does it lower the incident energy calculation and, therefore, additional control steps must be taken to ensure an electrically safe workplace. Figure 5. Protection system which uses optical arc detection to reduce incident energy levels. 100 ms – small damage to switchgear that requires cleaning and possibly some minor repair. Personnel could be at risk of injuries. 500 ms – catastrophic damage to equipment and personnel are likely to suffer serious injuries. The goal of arc mitigation technology is to protect personnel and property; and to effectively accomplish this, we must first detect the arc and then cut the flow of current to the arc in as short a time as possible. As noted above, the target is to achieve a total reaction time of 100 ms or less from detection of the arc to isolation of the circuit. Arcs produce light at intensity levels that exceed 20,000 lux. This can be detected through special arc detection optical sensors connected to a relay system that has a typical operating time under 1ms and is the fastest arc flash detection technology currently available. The operating time is independent of the fault current magnitude since any current detector elements are used only to supervise the optical system. With optical arc protection technology installed the relay operating time is essentially negligible compared to the circuit breaker operating time, and the cost is fairly low since current transformers are only needed on the main breakers. If we sum up the circuit breaker operating time and the optical arc detection time we are well below the goal of 100 ms regardless of the age and speed of the circuit breaker and have mitigated the damage to a lower and safer level. Simply changing from standard coordination and instantaneous settings on the relay (suggested by some consultants as sufficient) to a protection system which uses optical arc detection that incident energy levels are reduced substantially. A workplace where the likelihood of an arc flash is significantly lower, where the impact of an arc flash can be minimized to very low levels is possible today – we just need engaged leadership and technical awareness. One industrial client who made the conversion from solidly grounded to HRG technology as a means of reducing the arc flash risk found the unintended but welcomed benefit of lower maintenance costs related to motor repair. In fact, the savings in motor repair costs provided payback for the HRG system in 24 months. This leading company, through engaged leadership and with technical awareness lowered their risk of an arc flash from occurring and lowered their operational costs at the same time. What is stopping you from achieving the same results, engaged leadership or technical awareness? Andrew Cochran is the president of I-Gard, a company that provides technical support in the application of ground-fault protection and resistance grounding products. He has been with I-Gard twelve years, having spent time in an operations capacity previously with Polariod, Stanley and ITT. He was educated in the UK in manufacturing and production engineering.